Mr Warhead has given us IR21 for testing, and it's a big bag of tweaks and bug fixes. In phases like this, there isn't always fancy new art to show. It's more about tweaking what's already there, and squashing bugs. Fixed issues with vampire blood bag causing crashes or not awarding health for point blank kills. Fixed issue with not being able to pick up vampire blood bag after victim respawns after a rocket kill. The last two lines there are kinda neat. We're now in the menu. 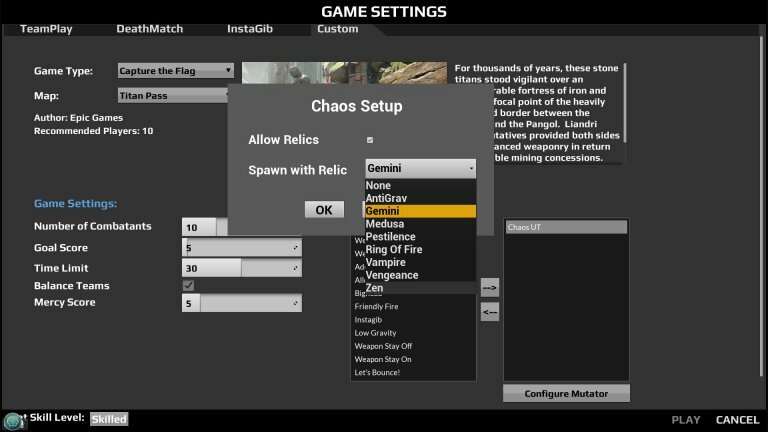 Current plan is to allow servers/hosts to decide if they want to use Relics in their games or not. And if so, players get to choose which Relic they wish to spawn with (you can still toss 'n switch mid match). Our relics are not active as soon as you spawn, you must activate them. We are working on a system which limits how much you can use them in a match. So it's not just all relics all the time. More on that later.